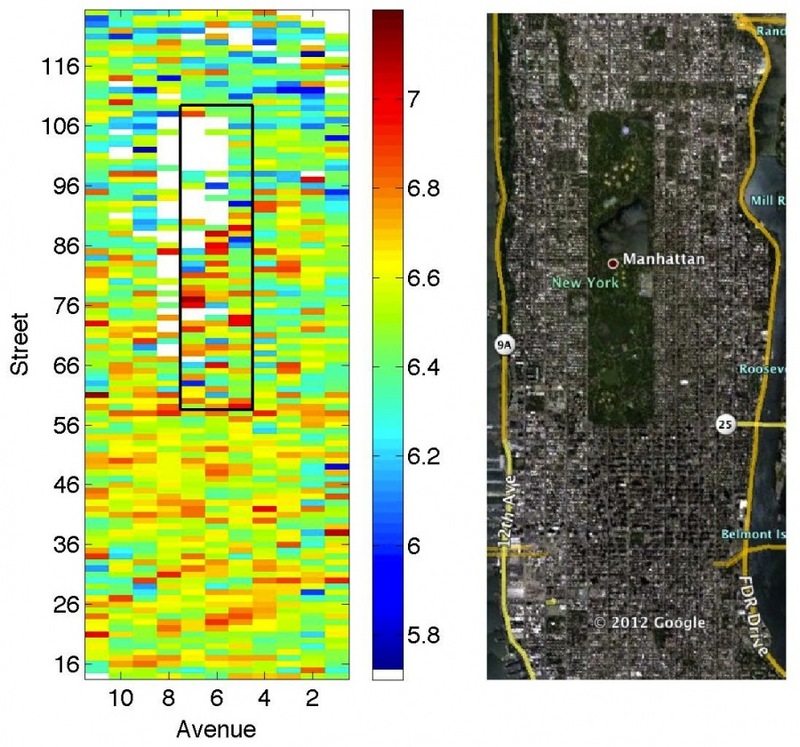 ...is about 1,000 feet from our apartment, according to this new "scientific" study. So I'm going to take credit for that, even though the color-coded key for our actual block is more of an ennui-tinged baby blue. I will blame that on some of our jerky neighbors. The "study" was based on an analysis of Tweets sent from various locations throughout the city, and how positive or negative they were, e.g. 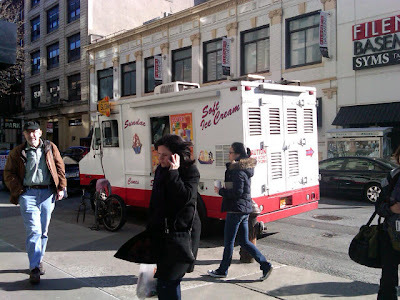 "Beautiful day, totally happy, " or "Ick, just saw one of the Kardashians." Keep in mind that the entire universe of Tweets, Facebook posts, and Foursquare check-ins consists solely of Farmville requests, inane "inspirational" quotes, and "taking my dog for a walk now" posts. 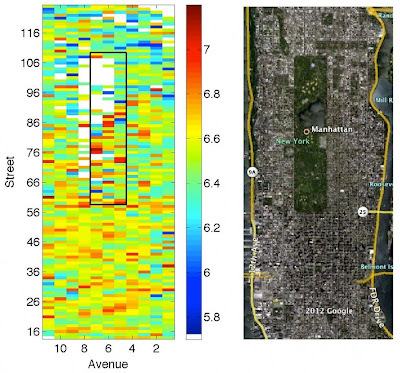 There's not a lot of usable data to analyze. Kudos to the scientists at the University of Vermont for doing this. The MIT guys apparently beat them out for the grant to study the impact of dark matter on black holes. UV got the Twitter happiness map gig. For the record, here's what the happiest place in NYC looks like. Jennifer told me last night that she spent $200 on beads for making jewelry. 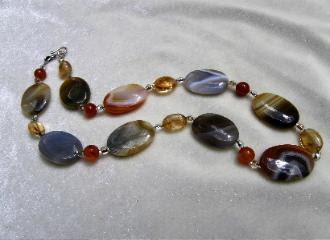 She said, "Usually I just buy a few at a time to make whatever piece of jewelry I'm making, but I decided to just buy a bigger supply so I'll have them." I said, "Jennifer! When one of us is going to make a purchase of $200 or more, we really should tell each other in advance, don't you think?" 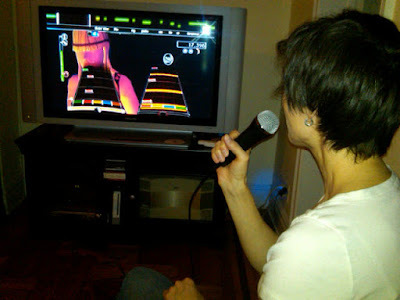 Then I smiled at Samuel and made a little guitar solo gesture. I'm having a difficult time finishing revisions to a manuscript. I was hoping to finish last weekend, then this weekend. And despite spending a good 6 hours on it, off and on, I'm just not getting it right. 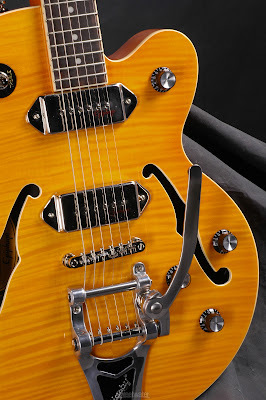 But I did manage to procrastinate by buying this guitar, even though I don't play the guitar. Okay. 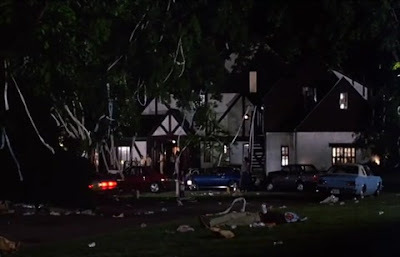 See, Samuel and I were walking the dogs last night, and I said, "You know what would be cool?" I said, "If we could play the guitar intro from Johnny B Goode. We could go into a guitar store and casually pick up a guitar, and just play like eight bars, and everyone would go, 'Whoa.'" He said, "And what if they asked you to play something else?" I said, "You'd just play the same thing again and hope they didn't notice." So we come home, and I still can't get the manuscript right, and it's 10pm, then it's 11pm, and finally I decide to type in "Johnny B. Goode guitar solo" on YouTube, just for a 5-minute break. And by 2am I owned a new guitar. Funny how that works. I didn't tell Jennifer yet, so let's keep it between us for now. The email was from Nicole at my old company. 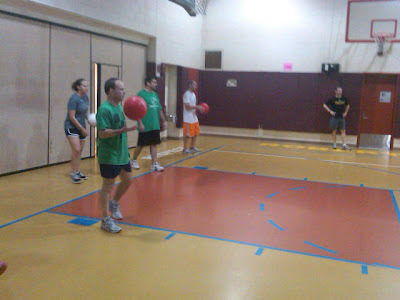 The subject line: "Dodgeball, Game 1, tonight at 7pm." "Todd, We need you! We are down a ton of players and can't field a team!! We are playing at 67th and York. Can you come?!" I thought dodgeball season was over. 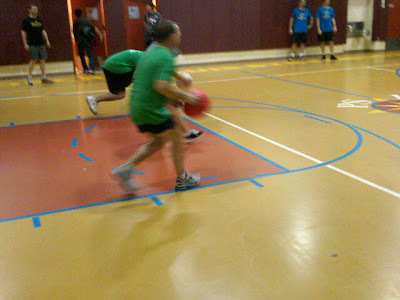 I already crossed it off my bucket list and threw away my team jersey. I haven't even worked for that company for two months. The gig only lasted seven weeks to begin with. Team Player: Noun. A person who plays or works well as a member of a team or group; Todd Tarpley. Only five of us showed up. We played one person short. We got killed. I'm going back into retirement. Poor little "How About a Kiss For Me?" is coming to the end of its natural life. Amazon marked it down last week to $6.99, and now it's down to $5.50. 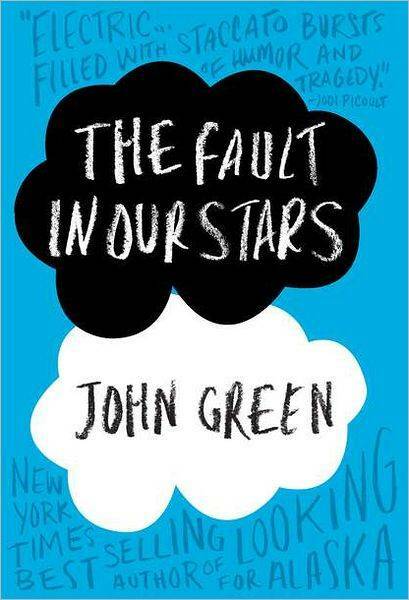 It had a nice 2-year run, earned back its advance, and was even released in paperback by Scholastic. But it's not going to live to see a second printing. Once Amazon clears out its inventory it will only live on as an "Available from these sellers" used book. The good news? As of today it's Baby Maggie's favorite book. If you ask for anything more than that in life you're just being greedy. Just got back from a trip to Seattle. I'm different than most business travelers. 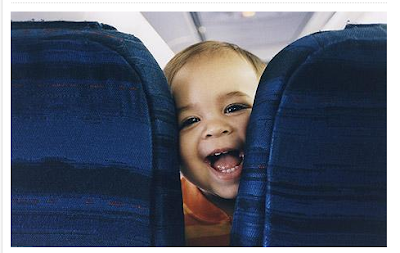 My dream is to someday sit in a row with a sleepy mom with an infant in her lap and a toddler in the middle seat. And I tell the mom, "You can sleep the whole flight, I'll keep them entertained." And the toddler and I draw and play games and read books, and the baby falls asleep in my lap without crying or needing a diaper change. That is some exhausted mom's dream, too, but it's not the kind of seat assignment you can request without seeming creepy or psychotic. Let alone the part about the baby not crying or needing a diaper change. In any event, I sat next to a person whose arms hung four inches over the armrest. 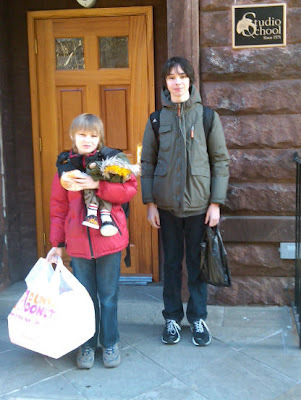 Glad to be home again. ...but he has two girls' names. He's like a cross between Stockard Channing and Tatum O'Neal. Does that creep you out too, or is it just me? Whenever I walk past the window of Barnes & Noble I stop to see what childrens books they're featuring. 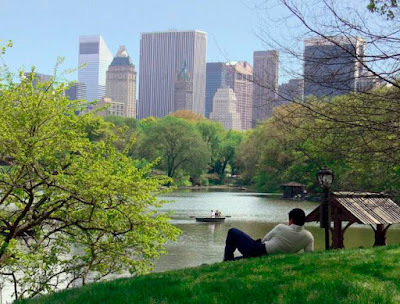 I don't know if it's because I'm competitive by nature or just mean-spirited, but I tend to get very irritated--too many celebrity books, too many sequels, and too many books that just seem insipid. 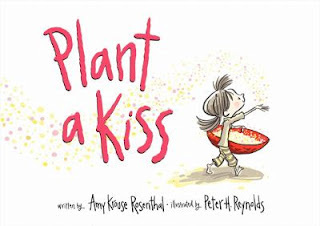 "Plant a Kiss" is simple and clever, and it's a double entendre: you plant a kiss, and it grows love, get it? 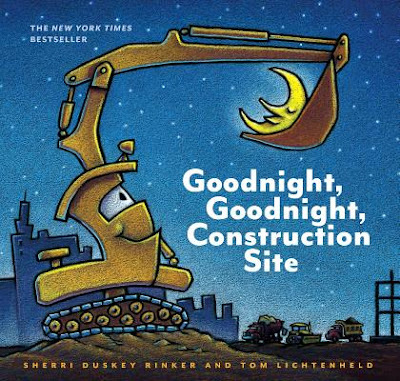 "Goodnight, Goodnight, Construction Site" is the kind of book Samuel would've liked when he was little--anything about vehicles. So how could I not like that? 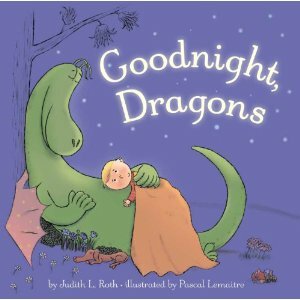 "Goodnight, Dragons." Maybe it's just sour grapes, but I think there should be a rule that an author must spend at least four seconds coming up with a title. "Goodnight, Pirates." There. Now can I be in the window? Grrrr. 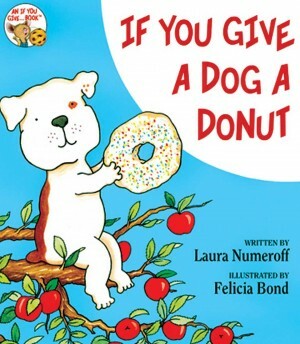 "If You Give a Dog a Donut." How many times can an author get away with writing the same damn book? Isn't this, like, #36 in the series? I lost respect for Laura Numeroff after "If You Give a Mouse a Cookie." If it's too difficult to come up with an animal that starts with C, you shouldn't be allowed to perpetuate this ponzi scheme. "Fancy Nancy and the Mermaid Ballet." Talk about writing the same book 36 times. How about "Fancy Nancy and the Bratty Little Girl Who Refused to Share the Bookstore Window With Others"? 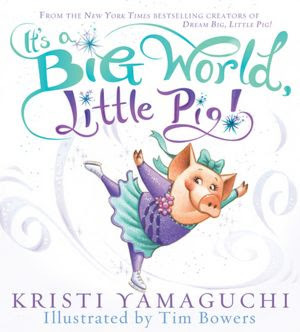 "It's a Big World, Little Pig," by Kristi Yamaguchi. The figure skater? Dammit. Somebody needs to teach her a lesson. Anybody have Tanya Harding's number? 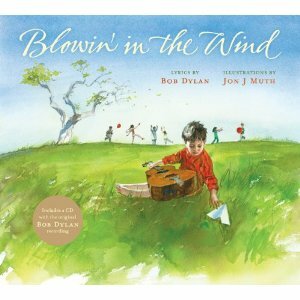 "Blowin' in the Wind," by Bob Dylan. This is not a children's book. It's a book for self-absorbed Baby Boomers (I know, redundant) to give to their grandkids to direct attention back to themselves. 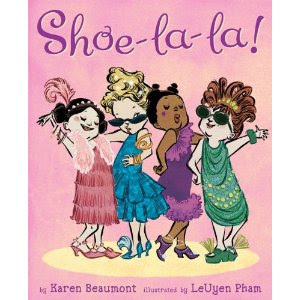 "Shoe-la-la. ": What's worse than the 37th iteration of "Fancy Nancy"? 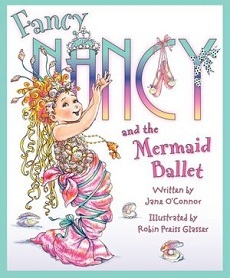 The 37th blatant rip-off of "Fancy Nancy." Henceforth, glitter on the cover will be a requirement for all books targeted to girls under 18. Now if you'll excuse me, I have to go buy "Plant a Kiss" and wish I'd written it. I saw this ad in "American Baby," and I told Jennifer, "I want this." I said, "Yes, if that comes with it." There's something strangely liberating about being a grown man with tears streaming down your face at 2am after reading a YA novel for the past four hours that you can't put down while the whole house sleeps: one son on the living room sofa, another in your bed next to a dog, next to your wife, the other dog snoring on the cold tile of the bathroom floor and who knows or really cares where the cat is. Probably creepily staring at you right now from wherever he is. I will go to bed. But it's nice to read a good book. You know? It's nice to care deeply about fictional characters, who are secretly you and me and everyone we care deeply about in real life, in all its dog-hair-covered-dangling-legs-not-enough-room-in-the-bed imperfect perfection. A good book lets you escape the real world, and when you return you appreciate it more. Two thumbs up for good books. Two thumbs up for this one in particular. 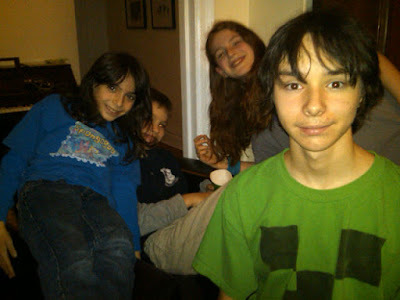 Samuel and Ethan went to a sleepover birthday party tonight. They were concerned about a rumor going around school today that whoever falls asleep first tonight will have a prank played on them. So they vowed that if one of them is the first to fall asleep, the other will protect him. 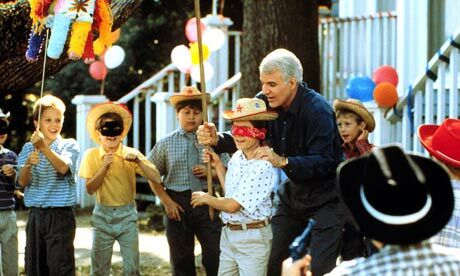 The boys' birthday parties seem to be getting more low-key as they get older. Or maybe we're just in the lull between the chaotic shriek-fest parties of childhood and the parents-are-out-of-town booze fests of the high school years. 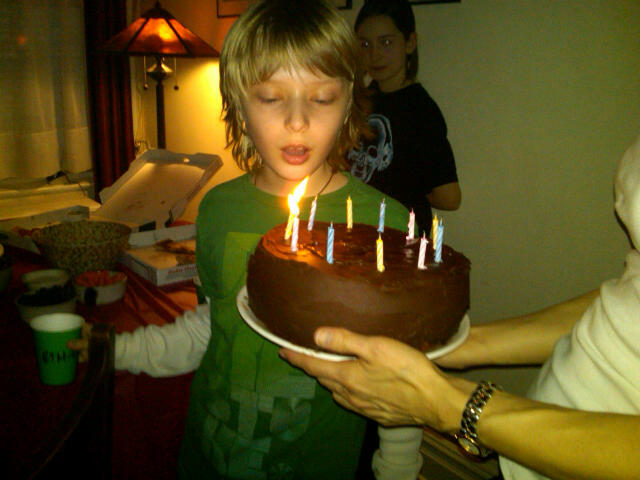 This year it was basically a living room full of pre-teens playing "Rock Band" on the Wii for three hours, punctuated by pizza and cake. Well, it wasn't all pre-teens. 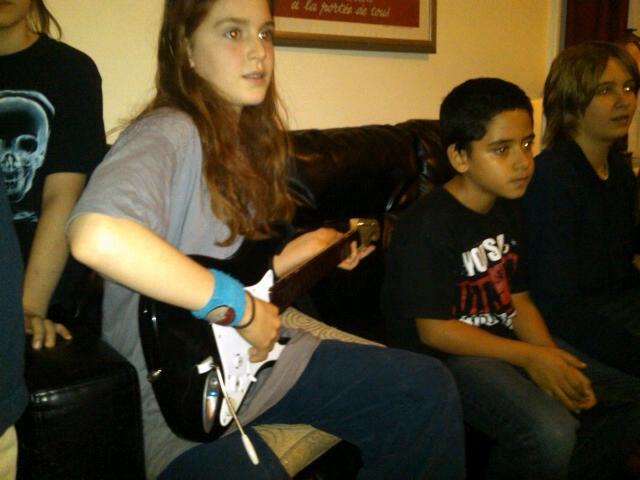 Jennifer got the party rocking with her rendition of "We Got the Beat." 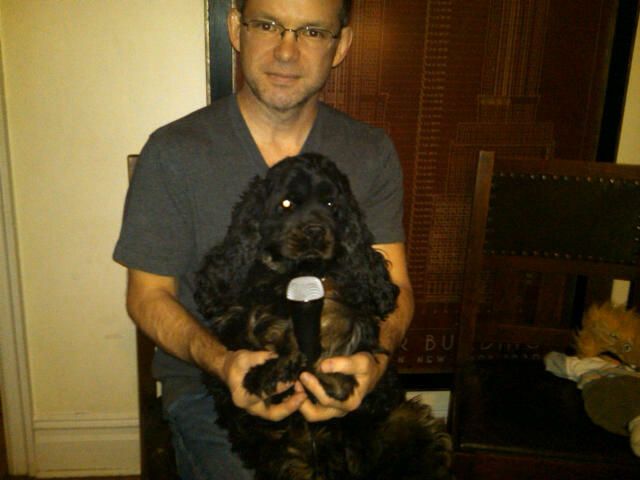 Bailey turned it up to 11 with his version of "Eye of the Tiger." 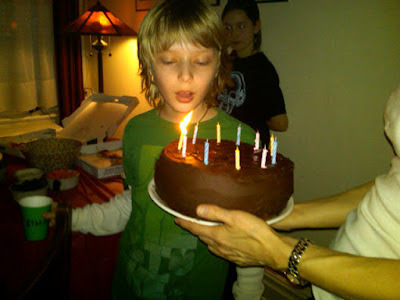 And my sweet little Ethan is another year older, but still sweet, in a socially unacceptable, non-conformist sense of the word. I sit next to the editorial department of "American Baby" magazine, and they're always testing new products. Today it was baby strollers. 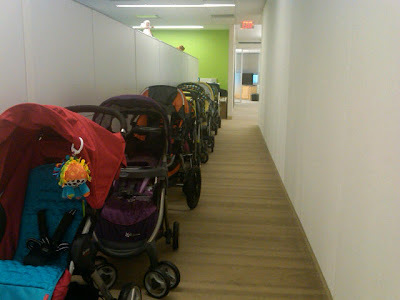 I was hoping to walk into my office and find it filled with babies, but no such luck.